Hey DC, you’re really finding your awesome groove! Maybe it’s this great article from DC’s own awesome board member Alex Howard in the Huffington Post, or maybe you heard yours truly and a few of our “arbiters of Awesome” on WAMU 88.5, (it’s also even possible that you may have started to hear rumors about an Awesome party coming your way…). Whatever it is, the submissions for the January grant were so chock-a-block with awesomeness that we have chosen to reward THREE (3) AWESOME PROJECTS. 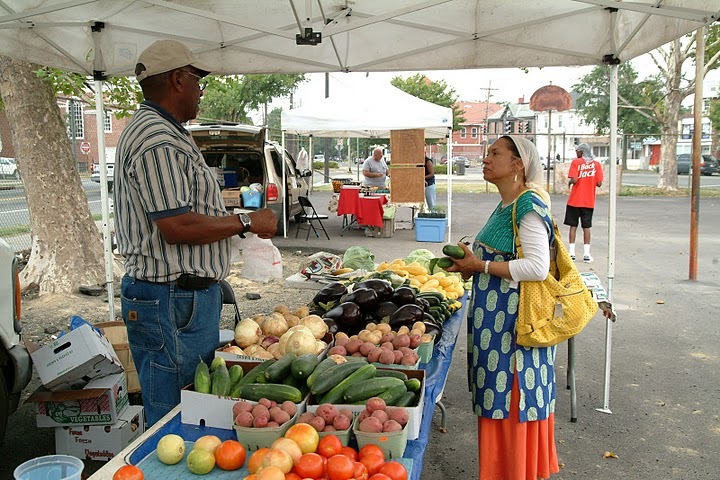 Congratulations Ward 8 Market Master! What does winning the Awesome Foundation DC grant? Winning the Awesome Foundation grant will allow us to communicate our changes to our neighbors in some concrete ways. We need a symbol to communicate who we are and how we are evolving, but like so many who struggle with budgets, art can be the first thing to go. We’d love to send an environmental message by reprinting our new logo on reusable bags that will save our customers money (Those 5 cent fees add up when you are watching every penny) and keep people talking after they have left the market. They have some other changes in the works. We will be at an exciting new location. THEARC (http://www.thearcdc.org/) is an architecturally sophisticated cultural and community center that is an absolute showplace in the middle of a deeply troubled neighborhood. The market will be located in their parking lot on Saturdays. We can offer free Wi-fi, and student showcases for the young dancers and musicians training in the building. Our Tuesday market will remain at United Medical Center, one of the biggest employers in the neighborhood. Our market will offer a greater variety of healthy foods than ever before. In addition to the fruit and vegetable farmers that are the heart of any farmers market, we are expanding into a full line of pasture raised meats (turkey, chicken, beef and pork) from an Amish-owned farm which uses only traditional methods and NO CHEMICALS. We are also expanding a line of breads, pastries and muffins. The chance to stock up completely at our markets has never been better. Mostly we’ve been giggling like idiots. In addition to awarding the $1000 grant, we have also connected the Farmers market folks with the most Awesome graphic artist, Carolyn Sewell, who has offered her time pro bono to help with logo design. How can people help you become more Awesome? With support. Of course, I should mention that money is always an appreciated gesture. We are tax deductible and we have a donation box to click on at the bottom of our home page. More importantly, we are trying to encourage the food-oriented entrepreneurs of SE DC to turn their dreams into businesses that will serve their neighbors. We already have a producer who grows houseplants in the soil of Ward 8. We want to hear from the pie bakers, the meat smokers, and the other talented people who just need an outlet. Any advice for people thinking about applying for an Awesome Foundation DC grant? If you are proud of what you do, share the pride. AND DON’T THINK TOO MUCH. Runner up in January has been awarded to the DC Diaper Bank. Board members Eric Mill and Garlin Gilchrist II will be donating their time and expertise to help Corinne get the project going. What is the Diaper Bank all about? The DC Diaper Bank works to provide an adequate supply of diapers to families in need in the Washington metro area. Unfortunately, when families have to make tough financial decisions, many parents of infants and toddlers find that they simply cannot afford enough diapers and end up reusing disposable diapers, or leaving their children in one diaper for an entire day. Diapers are expensive, and any parent can tell you that babies need a lot of them, but government programs such as WIC or Food Stamps consider diapers “hygiene items” and do not cover them. Babies who remain in dirty diapers for prolonged periods can experience diaper rash, infections and discomfort. And not being able to provide clean diapers, a basic necessity, adds tension to the already difficult task of parenting. The DC Diaper Bank is an attempt to help parents in need cope with the daily stress and material reality of caring for their families – and, in doing so, help to create a space where they can interact with their babies in a positive way, thus improving health outcomes for all. Our ultimate vision is to create a community where families have all they need to thrive – diapers and otherwise. We hope to grow to the point of we are providing a reliable supply of diapers of all sizes to social service organizations that are already connected to and helping low-income families through comprehensive programs and services. How can people support the Diaper Bank? We need diapers! We are always looking for people to host diaper drives. 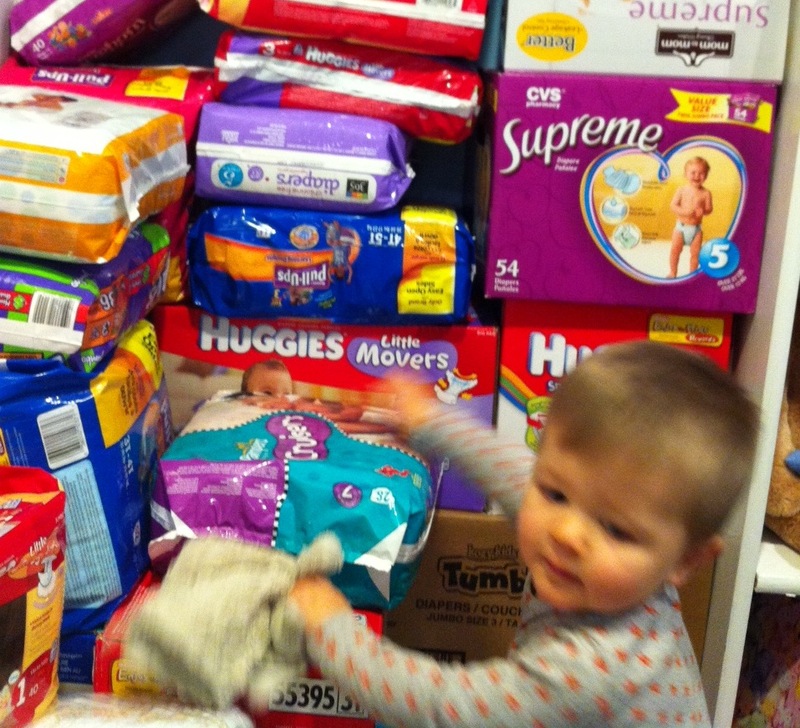 These events are easy to put together (we even provide a Diaper Drive Toolkit! ), and we have found that most people have no trouble finding a group of individuals willing and enthusiastic to help! We also accept donations on our website which allow us to purchase diapers at a discount and get the diapers to families in need. People who wish to support us can find more information at our website: www.dcdiaperbank.org or send us an email at info@dcdiaperbank.org. Our third awesome project for January receives a special commendation. Shonika is working with a high school in DC and a high school in Chile to design and fabricate a human size transformer. Part of the grant was to go towards the purchase of 2 flip cams to document the process in each school. Awesome board member, Peter Corbett and the folks at iStrategy Labs, have generously donated the 2 flip cams needed to document the project. 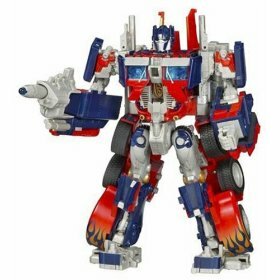 What is the Human Size Transformer? The Human Size Transformer is all about teens who live in a ‘sleepy’ neighborhood in the far south of Chile that wanted to do something FUN but legal 🙂 They attend a metal & wood arts vocational school and one day they decided they wanted to make something big…really, really, big. We have located a few non profits and are trying to finalize an agreement with a DC based organization that works with youth in robotics/engineering who can support us with designing the Transformer. The impact will be to raise awareness for youth about careers in manufacturing, industrial design and engineering. And I am a DC native and want to share my experiences as a start up doing business in South America. And more importantly support DC youth with building cultural competency and awareness of what is going on with our neighbors in the south. How can people help you build the Human Size Transformer? We need metal…and lots of it. The kids are located in Puerto Montt, Chile which is in the far south of the country (the last city you reach before the enchanted Patagonia) so if they find a local supplier to donate that would be groovy. Also we are trying to bring all 10 of the artists/welders to the states (NYC) in October 2011 for Comic Con. So any level of support (donations or in kind services) that anybody can offer would be greatly appreciated. You can donate here. Applications for the February grant are now live. If you got an idea that you talk about so much that all your friends roll their eyes and groan about, then it’s time to tell us. Remember – We look for Timeliness/ Community Impact / Power of the dollar / and Awesome awesomeness. That means that even if your idea is really serious, have some fun with it. Apply now. Stay Awesome.